Two weekends ago, before the U.S. 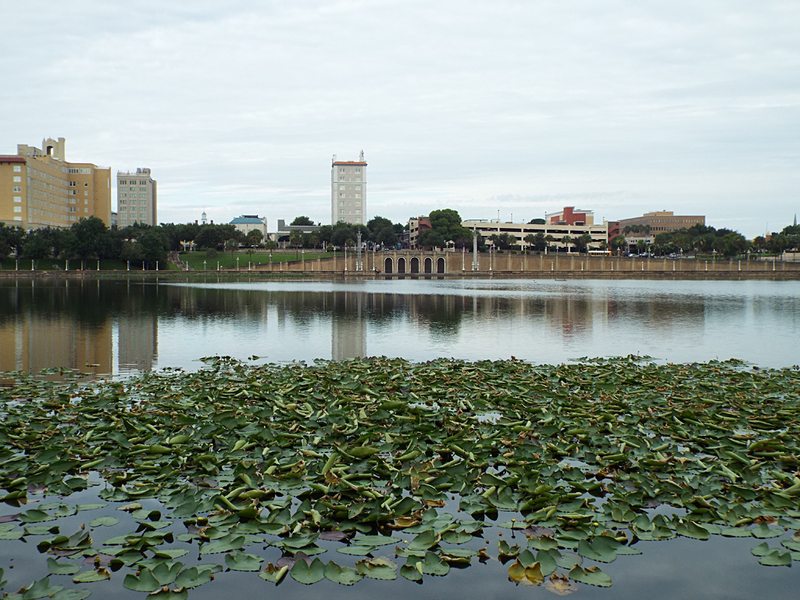 Independence day holiday, I had the opportunity to visit the city of Lakeland, Florida. 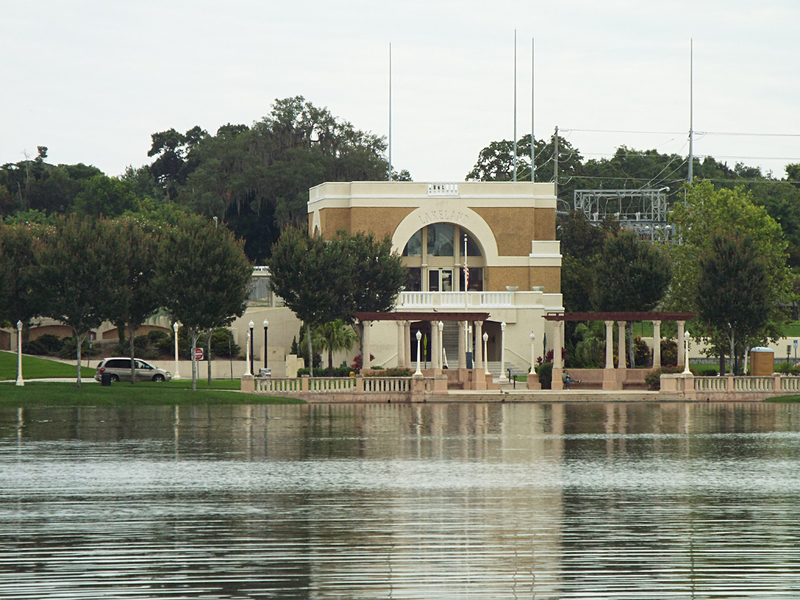 Lakeland is home to many lakes. Obviously. I visited two of them – Lake Mirror and Lake Morton – with Camille to get a look at some introduced waterfowl, along with local birds. Lake Mirror is known to have at least 2 species of “exotic” ducks, which I’ll get into a bit later in the post. These are either escapees from somewhere or were deliberately introduced to the lake. The vast majority of the duck population on Lake Mirror are various mixes of Mallards and Mottled Ducks. 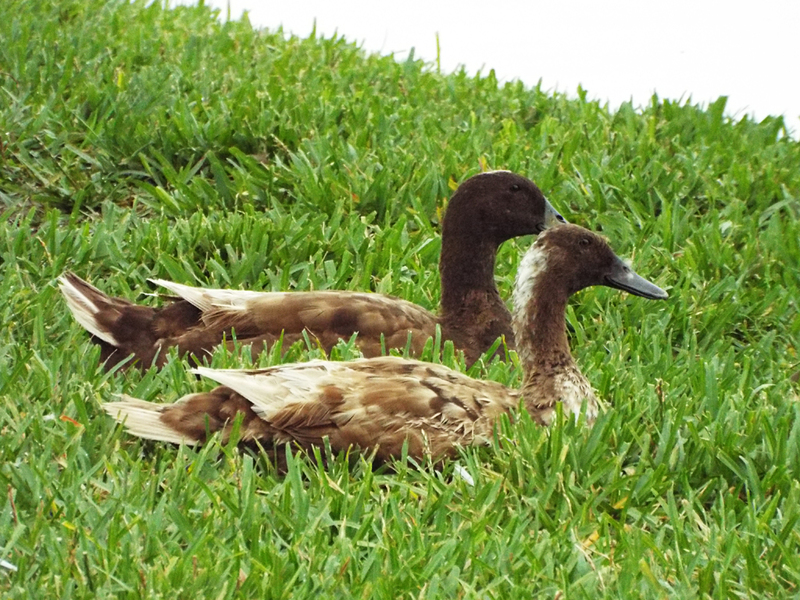 These tend to fall into two broad categories: Mallard/Mottled Duck hybrids and Mallard/domestic crosses. Lake Mirror shortly after dawn. 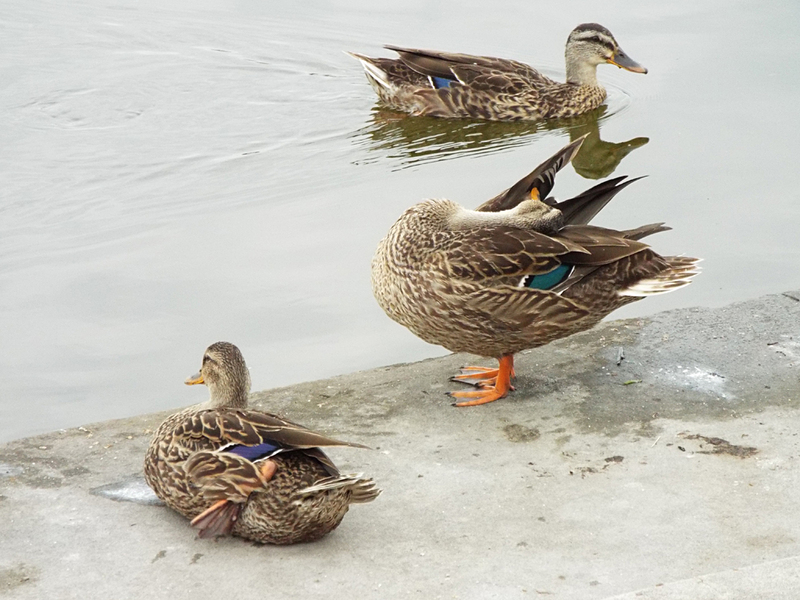 The first group tend to superficially look very similar to one another and have a typical Mottled Duck/Mallard body and coloration. 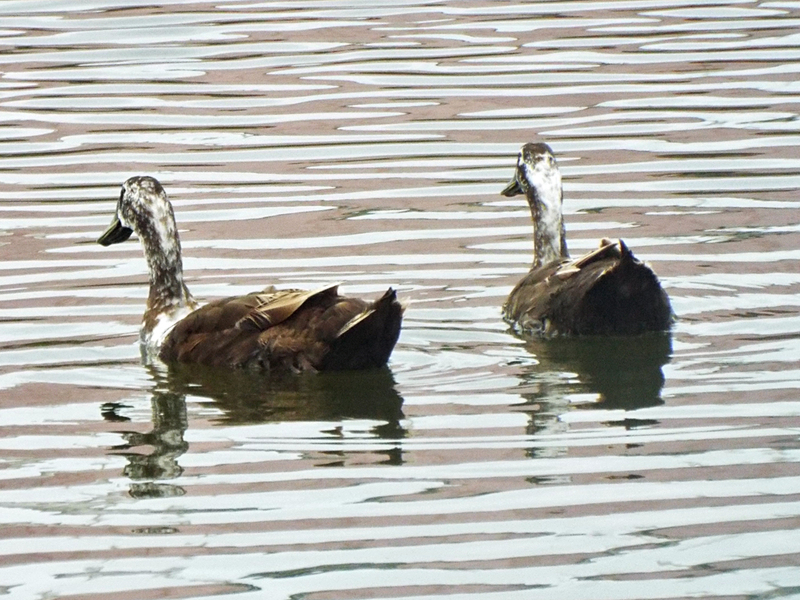 Three “muddled” ducks. They look pretty similar, but note the 3 different looking speculums (the color band of feathers in the wing). Various individuals in this group had bill and speculum colors of Mallards and Mottled Ducks, as well as slight differences in body feathers, making it impossible to assign any definitive species to them. (I know speculum colors are iridescent, so they don’t always appear the same, but to the unaided eye, these three definitely looked different at almost every angle). A large part of the reason is due to the intentional release of domestic-type Mallards in Florida. 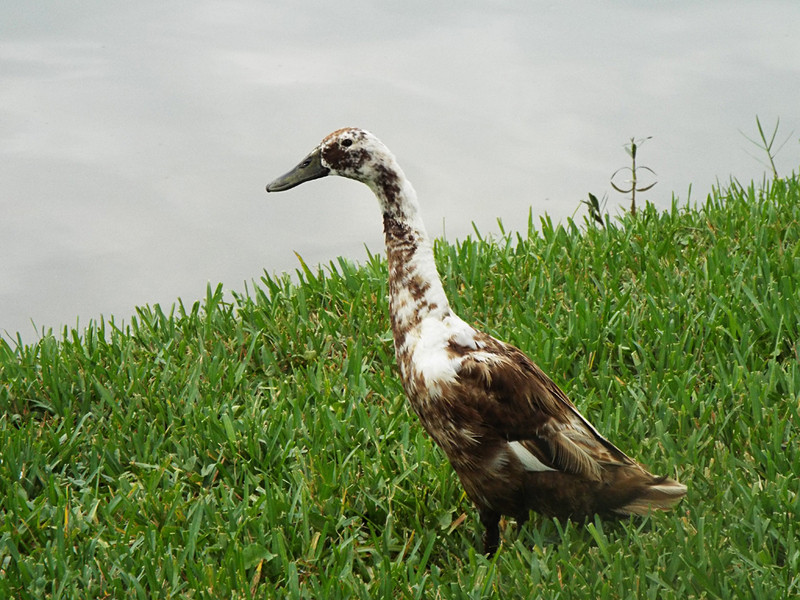 You can read more about this issue in this article on the 10,000 Birds site: Mallards are a Threat to Mottled Ducks in Florida. More and more ducks are hybrids of one type or another. It takes a very keen eye (and sometimes a genetic test) to really know the identity of an individual. The second large population of ducks are of the Mallard/domestic cross variety. These ducks have a lot of white in their plumage, and many have dusky or cinnamon feathers. They also tend to be a bit larger than the other Mallard types. A resting pair of ducks, showing quite a bit of chocolate brown and cinnamon. 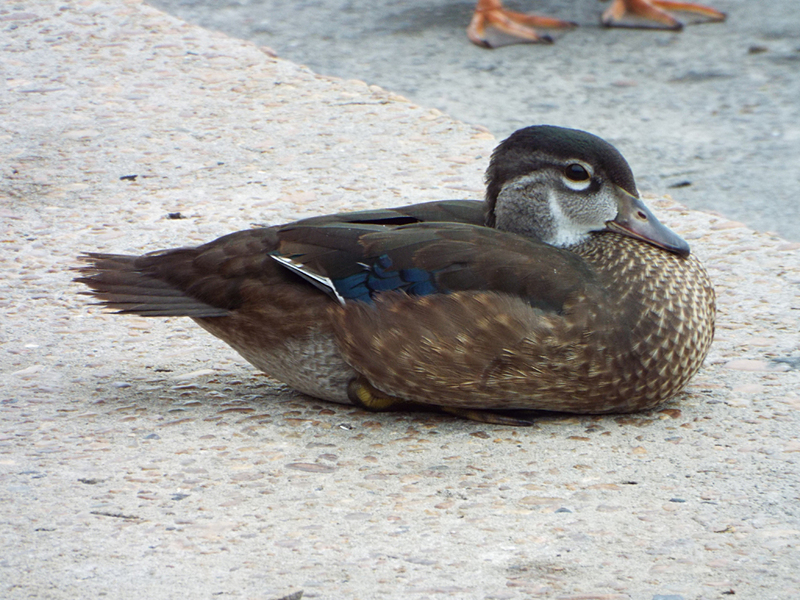 I noticed most of the ducks with this type of plumage tended to walk with this upright posture. Another domestic cross pair, with more white about their heads. Lake Mirror (as well as Lake Morton) also have a number of Wood Ducks. The first ones we noticed were immature males. They were just getting their facial markings, but had not developed crests and their coloring was still subdued. 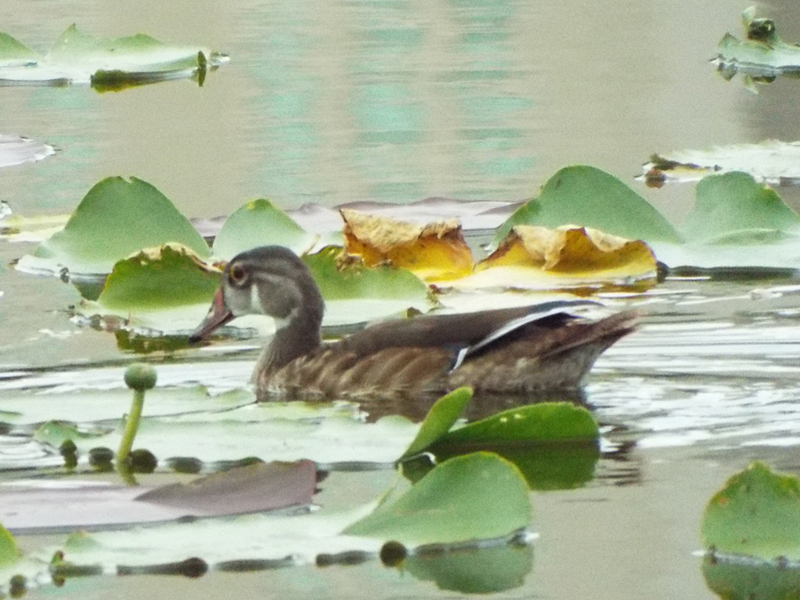 An immature Wood Duck among the lily pads. 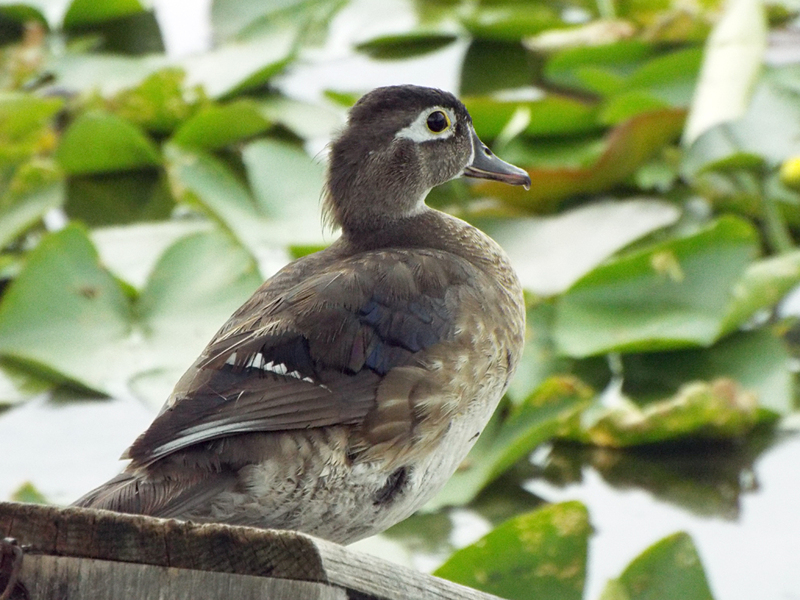 Another immature Wood Duck drake. 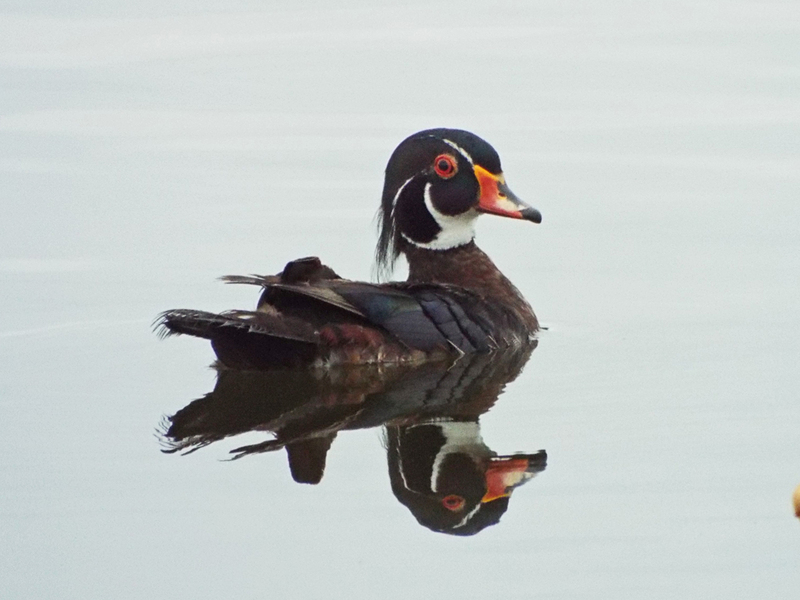 A distinguished Wood Duck drake. Female Wood Duck on her nest box. But the main reason for coming to Lakeland at all was for the chance to see more out-of-the-ordinary birds. Lake Mirror is home to two species of introduced exotic duck species. 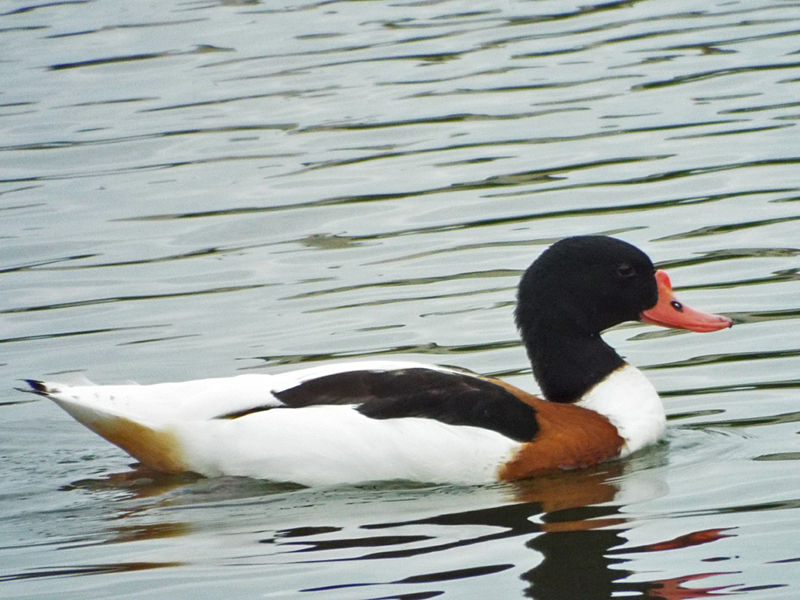 One, the Common Shelduck, is native to Eurasia. Sightings of vagrant birds are rare in North America. I’m not sure of the origin of the 3 birds at Lake Mirror, but I would lean towards thinking they were deliberately introduced. 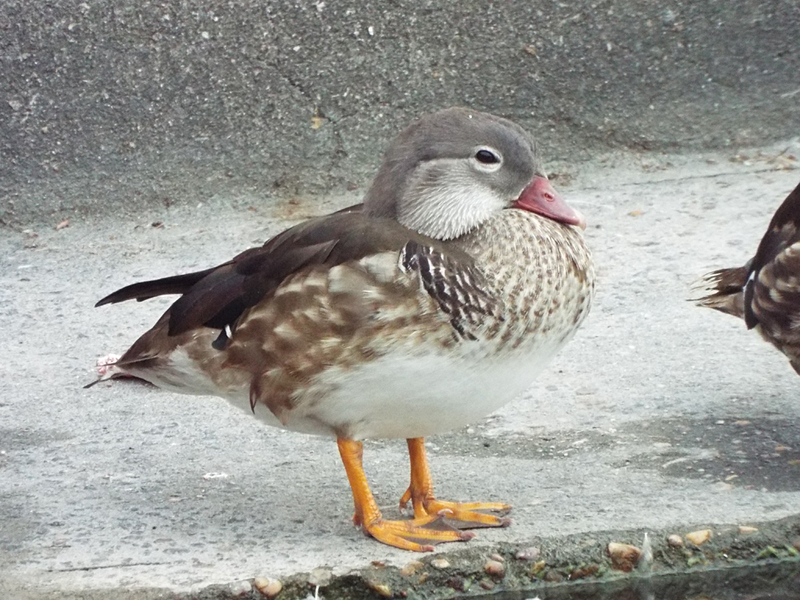 The other rare species of duck at Lake Mirror is the Mandarin Duck. As it’s name might suggest, this duck’s native range includes parts of northern and eastern China, but the largest concentration of breeding birds is found in Japan. Mandarin Ducks are closely related to Wood Ducks, as you might tell from their appearance. The single male (or drake) we saw was in “eclipse plumage”, and thus more drab in appearance than he would be when breeding. 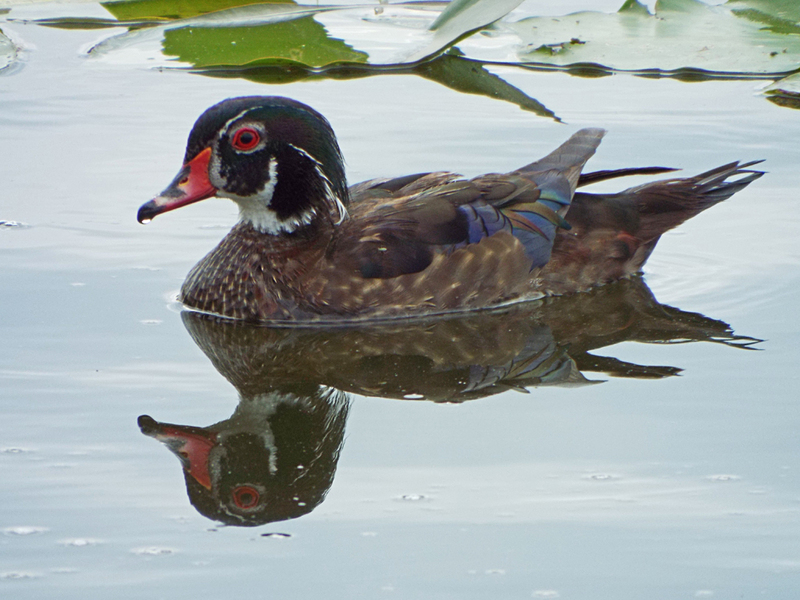 The females look very much like Wood Duck females. Like the shelducks, it’s a safe bet these birds were introduced as “ornamental” ducks. Male Mandarin Duck (eclipse plumage)! 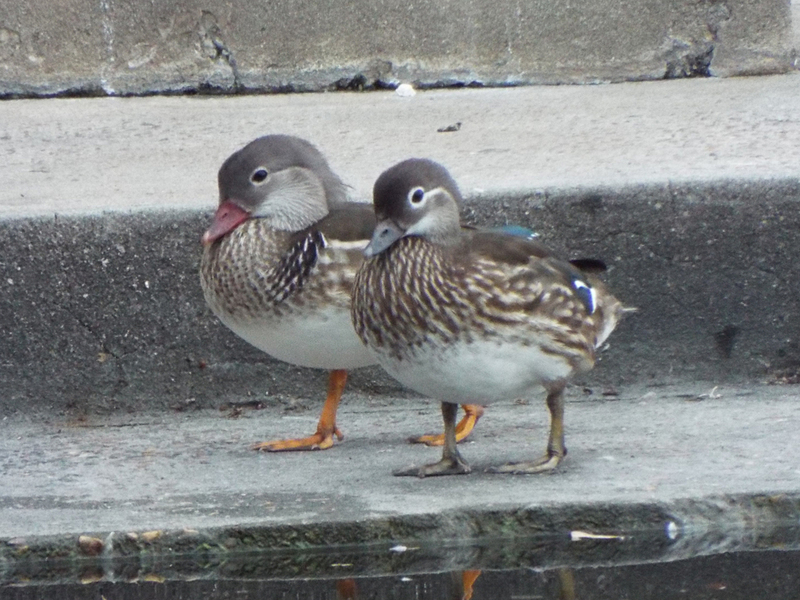 The male Mandarin Duck (on the left) and one of two females. Both of these exotic species have only been reported, via eBird, in Lakeland since 2013. They do not appear to be successfully breeding yet, but perhaps time will tell if they can become established. Posted on 2016 July 11 by Lonely BirderPosted in BirdingTagged Birding, birds, birdwatching, Lake Mirror, Lake Morton, Lakeland.